What is ‘Hello Maritime Mile’? 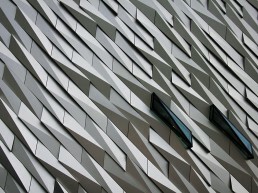 We’re part of a pilot project that’s using technology to create an engaging and fun experience for visitors and residents exploring the Maritime Mile in the Titanic Quarter, Belfast. 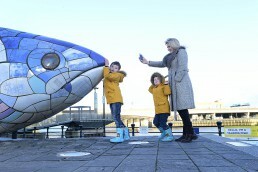 Hello Maritime Mile is a playful interactive experience along the Maritime Mile in Belfast’s Titanic Quarter. From the ‘Big Fish’ at Queen’s Quay to HMS Caroline, people are encouraged to ‘wake up’ the sleeping landmarks by sending them a text message. The objects are primed to have a conversation with visitors and residents; encouraging people to explore the Maritime Mile while learning fun facts about an area rich with history and cultural landmarks. The designer has also included a few little surprises for some lucky users. First and foremost, this pilot project is about offering a fun digital attraction. At the same time, it is helping tourism organisations experiment with new ways in which the city can interact with visitors. It is also helping us get a better sense about what people like, and what they know about Belfast. Over time, projects like this can help us develop attractions that are more attuned to the specific interests and needs of individuals. Hello Maritime Mile is delivered by a partnership between Tourism NI, the Titanic Foundation, Ulster University, Belfast City Councils’ tourism team and the City Innovation Unit, and engagement technology company Hello Lamppost. The pilot is live for 6 weeks from 4 February 2019. We're part of a UK Space Agency 'Space for Smarter Government' project that’s using satellite technology to help our planners and residents understand urban air pollution. The region offers more than simply skilled people, competitive costs and great infrastructure; it's a location that delivers altogether more for investors. 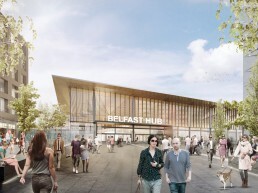 Belfast, Northern Ireland has exactly what investors are looking for - a workforce that is educated, smart, innovative and results-driven. Combine this with a superb infrastructure, competitive costs and excellent support packages and you have the ideal location. Belfast is gaining a global reputation as a cyber security hub with the Centre for Secure Information Technologies now the largest cyber security centre in Europe.